The mayoral candidate reportedly gave away $300,000 in cash during an event at New Covenant Missionary Baptist Church on Sunday (July 22nd). He was joined at the event by Governor Bruce Rauner, despite both aying this wasn't a campaign focused event. 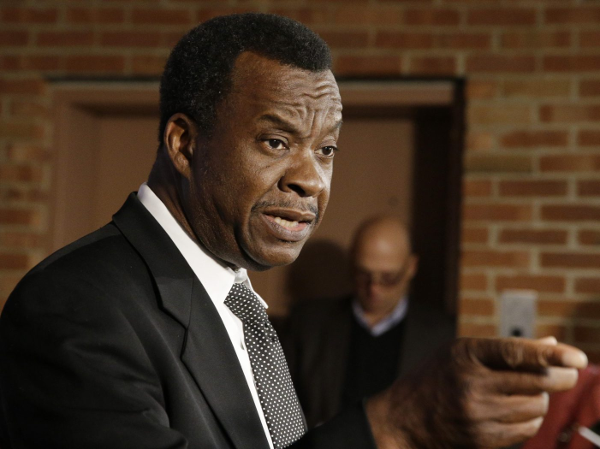 According to Wilson's campaign spokesman Scott Winslow, the millionaire businessman gave out the money to help the people in the community pay their property taxes and other expenses as part of his philanthropic work through his non-profit organization - the Dr. Willie Wilson Foundation. It's something he does often. And guess what? He apparently hasn't broken any campaign rules. Illinois State Board of Elections spokesman Matt Dietrich spoke to the Chicago Tribune and said since the money came from Wilson's Foundation he was able to maneuver around breaking any campaign finance laws. Willie Wilson is one of ten candidates in the running against Mayor Rahm Emanuel, who is also seeking a third term this coming election in 2019. Some folks are up in arms calling this the exact corruption Illinois - mainly Chicago - is so well known for. Others are trying to figure out which church he's hitting up next Sunday so they can make arrangements. Ha. Is Mr. Wilson "buying" votes indirectly, or nah?